LUSH Bewitched Bubble Bar, £4.25 - There are few things which say Halloween more than black cats and witches brew. The Bewitched Bubble Bar embodies just that; designed to get your bath bubbling like a cauldron, before turning the water a deep shade of black with silvery flecks. Made from sweet citrus Bergamot Oil and moisturising Olibanum Oil, this is perfect for the cold winter months; restoring the vitamins and nourishing the skin. For me, the best thing about this bubble bar is actually the smell as it has the same creamy yet fruity scent as the Sultana Of Soap and the (now discontinued) Blackberry Bath Bomb. Plus it looks like a cat. LUSH Magic Wand Soap, £4.50/120g - During Autumn and Winter months, the skin can often look grey and dull from the lack of vitamins and sunlight, and so this is the perfect uplifting cleanser. Packed full of citrus from Tangerine Oil, Orange Oil and Pomegranate molasses, the Magic Wand soap is designed to restore and brighten the skin. I actually loved this product way more than I expected. The citrusy scent is fantastic and, combined with the Extra Virgin Coconut Oil, it's super moisturising so only a small amount is needed at one time. This chunk of citrus joy is going to last me quite a while. 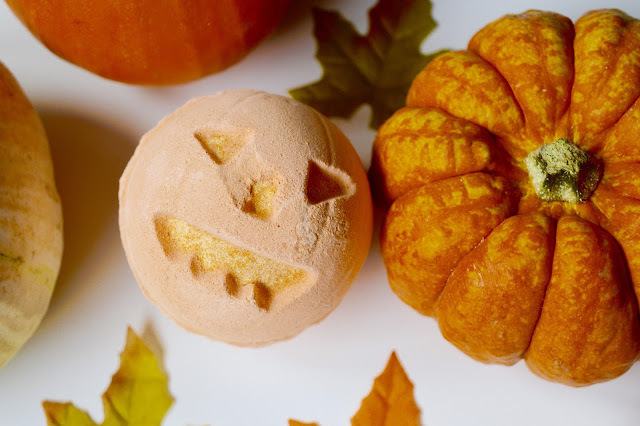 LUSH Pumpkin Bath Bomb, £4.25 each - Making a comeback from last year's LUSH collection is the Pumpkin Bath Bomb. No prizes for why I was drawn to this one. As well as being very appealing in appearance, the Pumpkin is inspired by all things spicy and saucy. Made from vanilla absolute and spicy cinnamon, it evokes the rich, biscuity fragrance of home-baking and stacked desserts, ensuring that you feel toasty from top to toe. 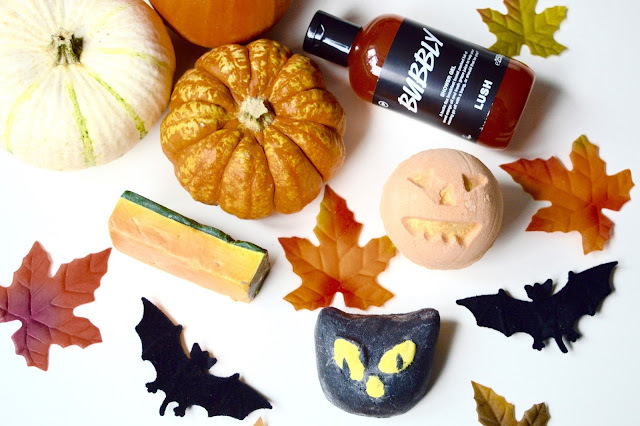 A soak with this pumpkin-shaped bomb is more satisfying than a belly full of pudding. 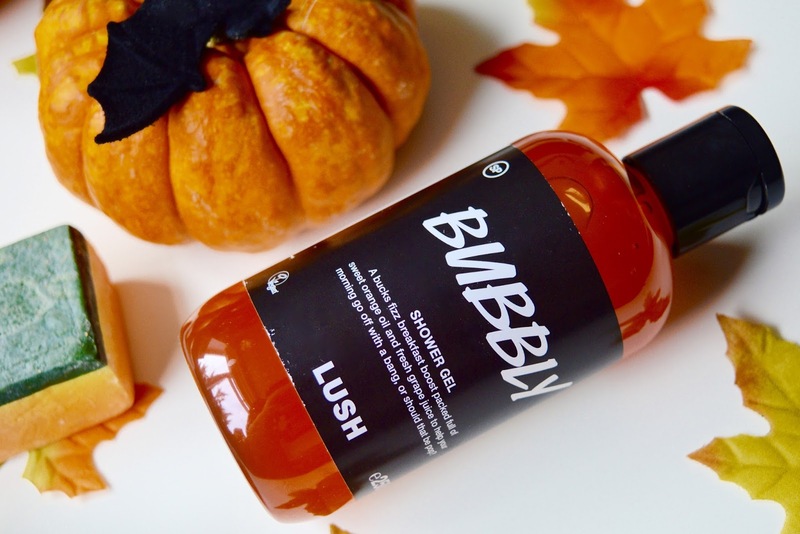 LUSH Bubbly Shower Gel (£9.95/250g) - So I may have featured this in last year's favourites but that doesn't make it any less amazing. Again, this isn't strictly a Halloween product but it's orange in colour and it shares a lot of the same qualities as the rest of the collection. I originally came across this shower gel at the Creative Showcase as a miniature but since then it has become a year-round product. Inspired by a bucks fizz breakfast, the Bubbly Shower Gel is made from sweet orange and lime oil as well as fresh grape juice. The orange oil helps to make all those extra bubbles (saving you product) and the added vine leaf acts as a conditioner to cleanse and smooth the skin. Best of all though, it smells utterly divine. Well, that's it for another LUSH mini haul. What do you think of this year's Halloween collection? Which products were your favourite? As always, I love reading your comments so please do leave me lots of lovely one down below. 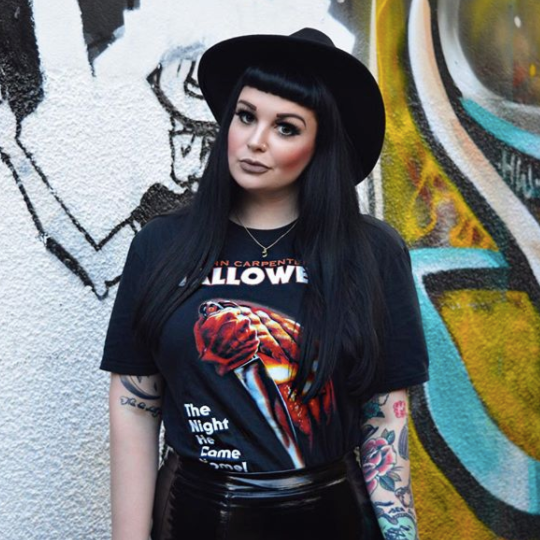 I must say, I am loving reading everyone's Halloween blog posts and seeing all the pumpkins on my feed. Hope everyone is having a spooktacular time in the build up to Halloween. OMG these look so cool! 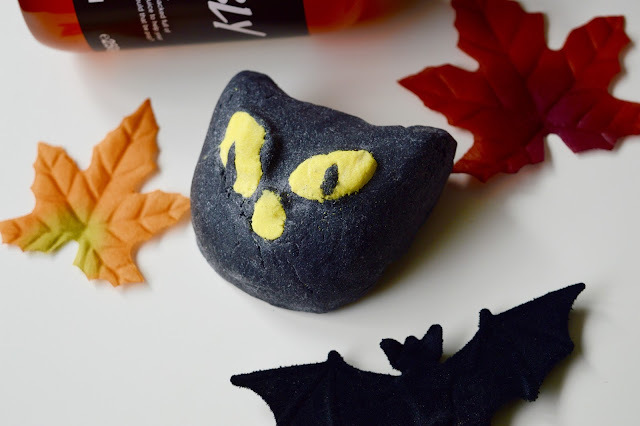 Ah I need to head to lush soon and pick one of these up, might go for the witchy bubble bar, it looks intriguing! I'm kind of holding out for the Christmas range though because I need that 'so white' back in life! Oh wow, I really love Halloween related posts! Bubbly sounds like a great product. How does it compare to Fairy dust? 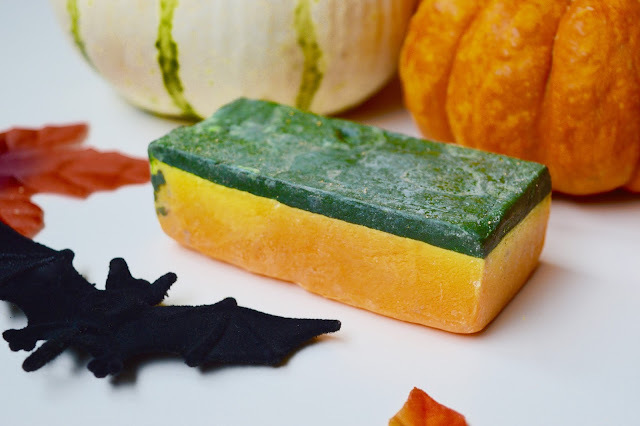 I love the Lush Halloween range and picked up a couple at the end of last month. The sparkly pumpkin is one of my favourites.